Written by Alex Boston, Executive Director, Renewable Cities. This op-ed originally appeared in the February 21, 2018 edition of the Vancouver Sun. While the B.C. government is addressing some of B.C.’s biggest challenges — affordability and climate change — the budget and Throne Speech overlook some of the swiftest, largest, lowest-cost solutions. Large swaths of every B.C. community are losing population. While single-family homes once housed families of four, today almost 60 per cent have just one or two occupants, dominated by empty nesters and solo seniors. As of the most recent census, there are now more single-family homes with just one occupant than with three, four, five or more. Single-family homes are also the most greenhouse gas (GHG) intensive dwelling type. As occupancy plummets, per-person GHG intensity continues to rise. At the same time, many people with good incomes cannot find affordable homes. The collapse in single-family home occupancy, however, presents a low-cost opportunity for affordable housing and climate action. There are a wide range of hidden housing solutions on single-family lots: secondary suites; stratification of character homes; laneway suites; and laneway stratas. These housing types are amongst the least expensive rental and homeownership options in their markets. Doubling occupancy cuts per person housing GHGs in half, not to mention home energy bills. While some municipalities have enabled homeowners and renters to take advantage of some opportunities, there is immense, untapped potential in virtually every B.C. community. One barrier to expanding secondary suites is that many people do not want to become landlords in theirs 70s or 80s. B.C.’s new Housing Hub could build capacity for trusted social service agencies to lease secondary suites from interested home owners. After a 15-20 percent fee to cover professional management, homeowners could receive monthly cheques of $750 to $1500. Some social service agencies are developing innovative solutions for house-rich/cash-poor solo seniors. This week, Hollyburn Family Services on Vancouver’s North Shore is beginning to consult on barriers and breakthroughs to match seniors in shared homes to reduce living expenses and social isolation. A disproportionately large share of people living alone suffer from social isolation with higher rates of physical inactivity, heart disease, depression and suicide. Hollyburn’s initiative has been unofficially dubbed the “golden girls” program in honour of the ’80s sitcom and the large cohort of single senior women it could serve. The B.C. government should incentivize homeowners, municipalities, and social service agencies to expand these low-carbon, low-cost housing options. The province could update the building code to require new single-family homes be secondary suite ready. B.C. Hydro could eliminate block rates for homeowners with tenants. If just one in 10 homeowners created a secondary suite, the government of B.C. would meet three-quarters of its campaign promise of 114,000 new affordable housing units. This opportunity could be achieved at lower cost per unit than, perhaps, any other affordability or energy conservation strategy under consideration. And it could be done relatively quickly. These units, after all, are largely built, just not fully occupied. If municipalities prioritized intensification close to transit, British Columbians could realize even deeper affordability and climate benefits. After housing, which accounts for 30 per cent of average household spending in B.C., transportation is the second biggest cost at almost 20 per cent of spending. Personal transportation is also B.C.’s largest GHG source. The highest transportation spending is in new neighbourhoods further and further from jobs, services and good transit. Census reports show this is where a disproportionately large share of B.C.’s growth is going. Even the most ambitious local transit plans are inadequate. TransLink projects GHGs will continue to rise under the Metro mayors’ $7.5-billion transportation vision. 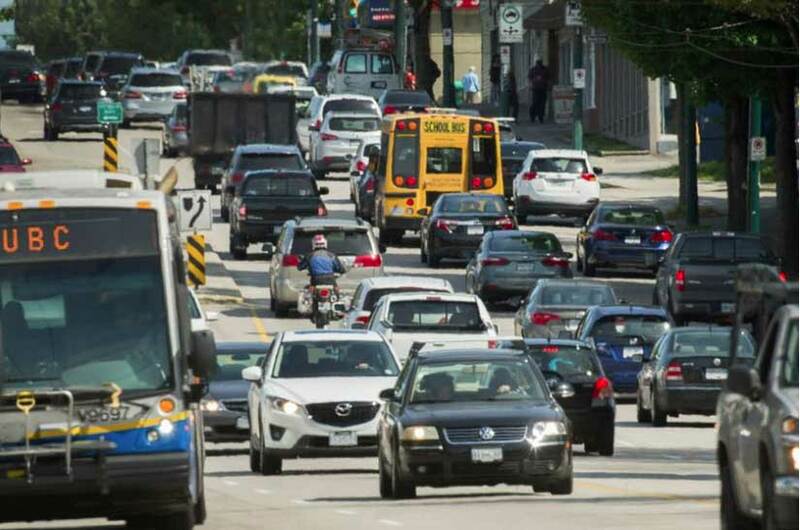 Personal transportation GHGs and spending can be dramatically reduced by reversing the hollowing out of neighbourhoods and focussing growth along existing and planned transit routes in Greater Vancouver and across B.C. communities served by transit. Failing to act decisively on big opportunities that address multiple resonant priorities will thwart the B.C. government from meeting its bold 2030 GHG reduction target and its ambitious 10-year affordable housing targets. Climate change and affordability are among B.C.’s biggest challenges. Tackling them will involve every level of government, social service agencies, utilities, transit authorities, innovative builders, and thousands of homeowners. We will only prevail if we solve these problems together.